I'm Adam Higgins, a daytime stay at home dad with a full time night job, and I produce a podcast. 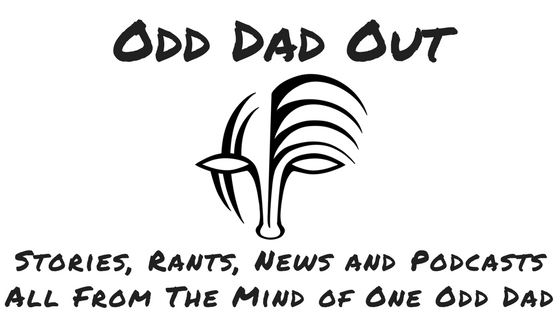 On "Odd Dad Out" I share silly stories from my life, my rants on any number of subjects, make fun of news stories that just make you shake your head, and give you a podcast recommendation that I think you really should check out. Ultimately I just like to make people laugh with my particular brand of ranty comedy and rambling stories. And I love to get the word out about all of the other great podcasts out in the world. Thanks to your monthly support I will be able to cover the continued cost of media and web hosting for the podcast. As support increases I will be able to purchase newer equipment and offer more contests and giveaways to listeners and supporters. Thank you so much for helping keep this twisted little world of comedy and storytelling alive for all those crazy enough to listen to it. My eternal thanks to you for parting with your hard earned money to support my stupidity. I will give you a shout out on all social media and on the show. You will also have access to any possible extra content I may produce in the future, and be automatically entered for any and all giveaways and contests. Along with "My Eternal Thanks" for your $5.00 donation, you will also receive some Odd Dad Out stickers and a "Thank You" note from me. You will also be sent additional stickers or magnets as new designs are issued. You are so amazing! I think I'm gonna cry!! For $20.00 a month you will receive the "MOST ETERNAL THANKS OF ALL TIME!!!" PLUS the sticker packs, PLUS a mug, AND your choice of shirt from the Odd Dad Out Merch store. Words not have I level people money so much give... What want can choose you. Magical Unicorn Are You. If I can receive $30 per month, I can cover the cost of media and web hosting for the show.